We recently received and e-mail from an old friend of The GolfWorks, Mr. Dennis Clark. He sent these wonderful pictures of the set he played with for a portion of his Professional career. Dennis has been a PGA Professional for 52 years and played professionally for 12 of those years. He actually turned professional in 1963 at the age of 15. Over the course of his career, Dennis won over 40 Professional events in Australia and New Zealand. He played on the Australasian Tour, the Asian Tour and the European Tour during his career. Dennis was a 5 time World Cup player for New Zealand and played in 3 British Opens. He actually played with the RM blades Ralph built him in the last of his World cup appearances. 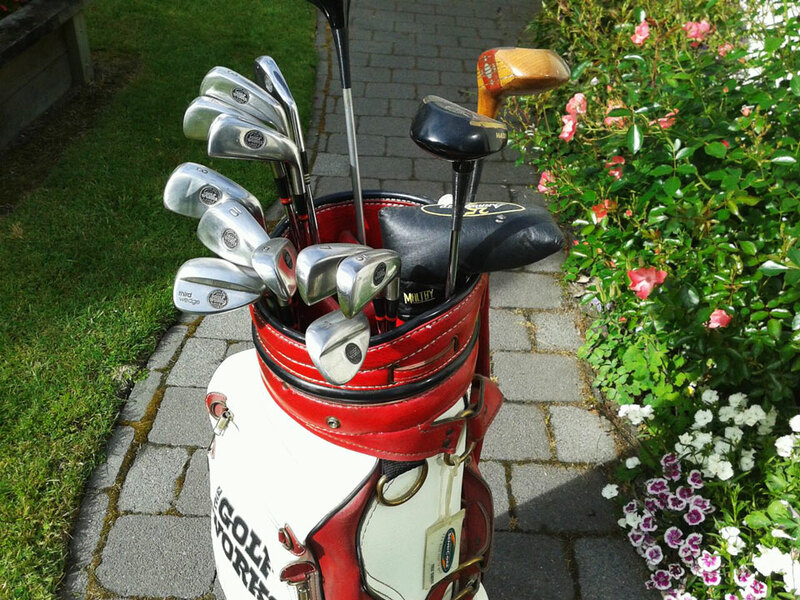 He played with 22 Major Champions including Jack Nicklaus, Seve Ballesteros and Greg Norman. We thank Dennis for his support and friendship throughout the years. We also thank him for his service to the PGA and the game of golf, helping hundreds of players play better golf.